Japanese Makers of the "Ukulet" (circa 60's-70's?) 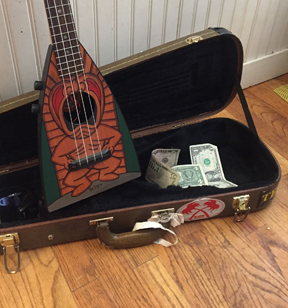 a solid body electric ukulele with an amplifier built into the case. The Tombo company currently makes Harmonicas.